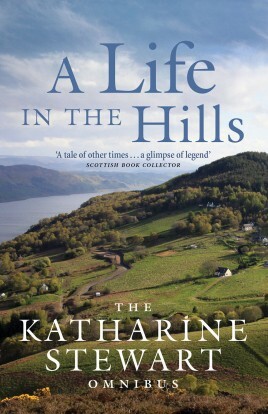 This omnibus gathers A Croft in the Hills together with some of Katharine's later books. Katharine Stewart, who died in 2013, was one of Scotland’s best-loved writers on rural life in the Highlands. A Croft in the Hills, her first book,tells the story of how a couple and their young daughter, fresh from city life, took over a remote hill croft near Loch Ness and made a livingfrom it. Full of warm personal insights, good humour and a love of living things, it has become a classic and has rarely been out of print since itwas first published in 1960.This omnibus gathers A Croft in the Hills together with some of Katharine’s later books: A Garden in the Hills, describing a year in the life ofher Highland garden; A School in the Hills, a vivid history of the school at Abriachan which eventually became the Stewarts’ family home; andThe Post in the Hills, which tells the dramatic story of the postal service in the Highlands, from the point of view of Katharine’s later role aspostmistress of the smallest post office in Scotland, run from the porch of her Abriachan schoolhouse. Each of these books glows with whatNeil Gunn described as ‘its unusual quality, its brightness and its wisdom’. The omnibus will bring the grace, charm and wisdom of KatharineStewart’s writing to a new generation of readers. Katharine Stewart was born in 1914 in Reading. Following the Second World War and after a spell running a hotel in Edinburgh she movedwith her husband, Sam Stewart, and daughter Hilda, to the croft at Abriachan near Loch Ness, where she began her writing career with A Croftin the Hills. Later she trained as a teacher before, on the death of her husband, becoming the local postmistress at Abriachan. She died in2013 and is survived by her daughter, Hilda.